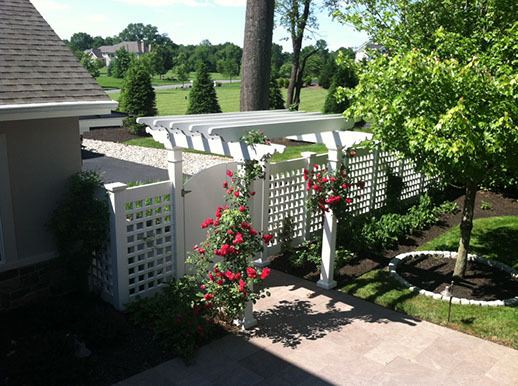 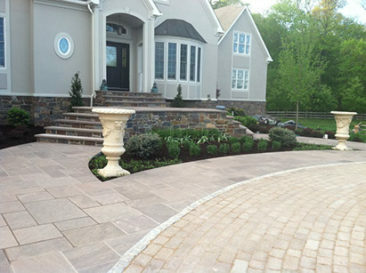 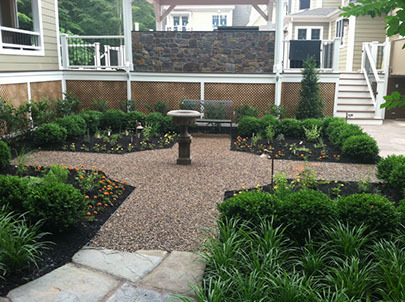 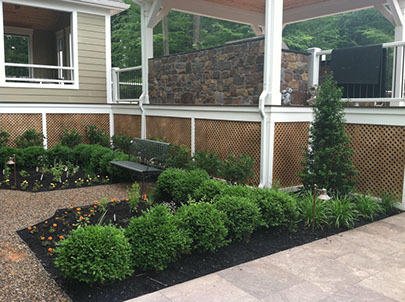 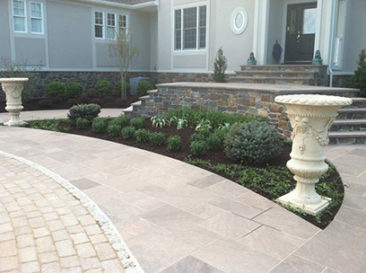 This Pennington, NJ hardscape design has everything from an outdoor kitchen, a formal English Garden, a grand entrance, a paver driveway, extensive landscape design and plantings, and a fire pit. 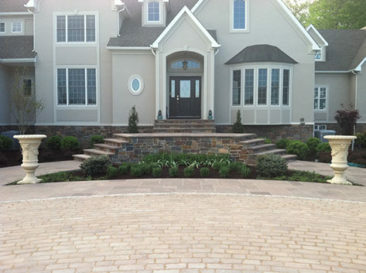 This is a grand front entrance that makes quite a statement. 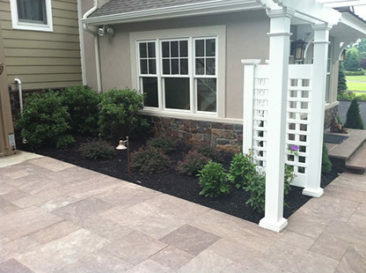 Pinnacle natural stone veneers create a beautiful look on the front porch and lower portion of the front of the house. The front steps are made of natural brownstone treads. 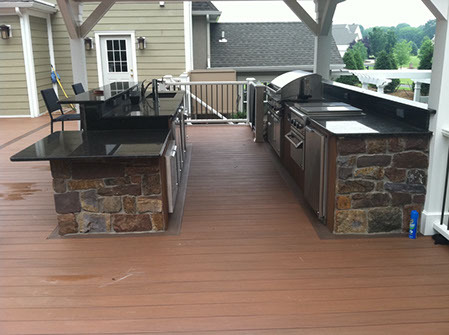 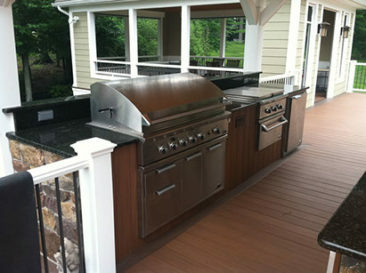 This outdoor kitchen is covered with a roof and is a built in part of the deck. 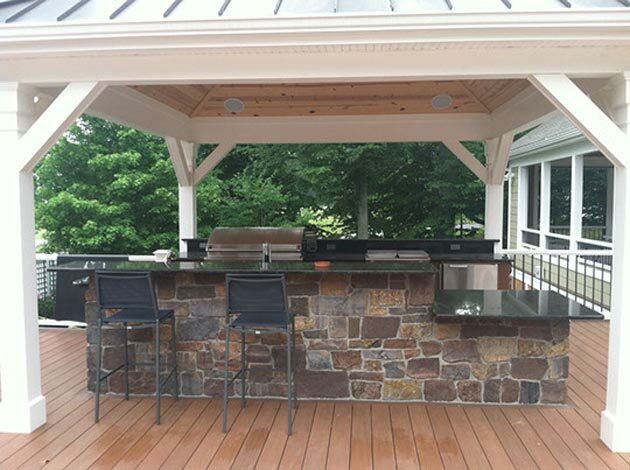 The base is covered with Pinnacle amber natural stone veneers. The top is made of granite. The stainless steel grill, mini fridge, and range are DCS. 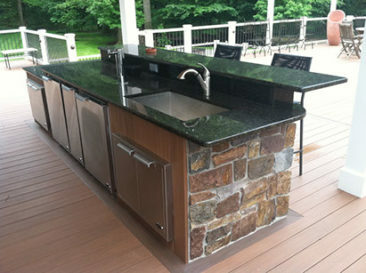 There is also a sink and extra storage. The back side has stools and is the perfect place for entertaining guests while you prepare food. 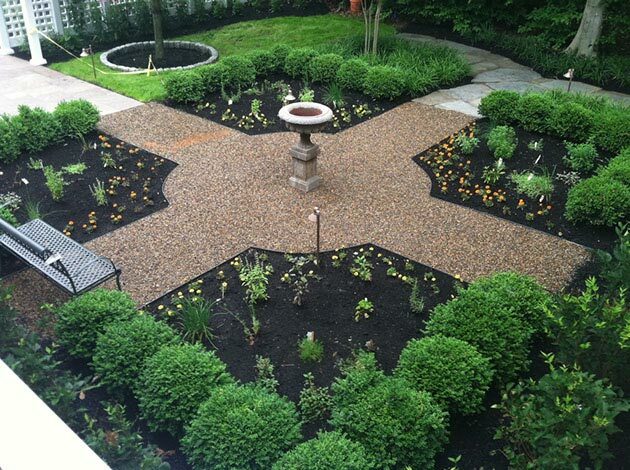 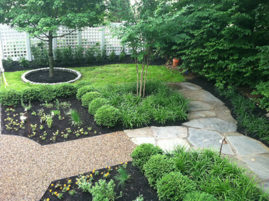 This English Garden makes a great visual presence with crossed paths and a bird bath in the middle. 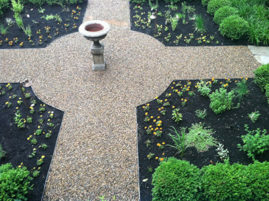 There are lots of plantings and flowers in this design. 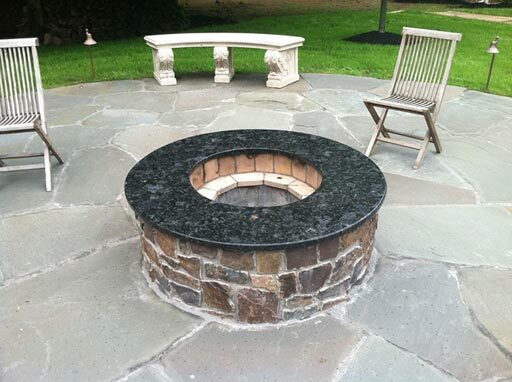 This informal fire pit is constructed with Pinnacle amber stone veneers, and the top is made of granite. 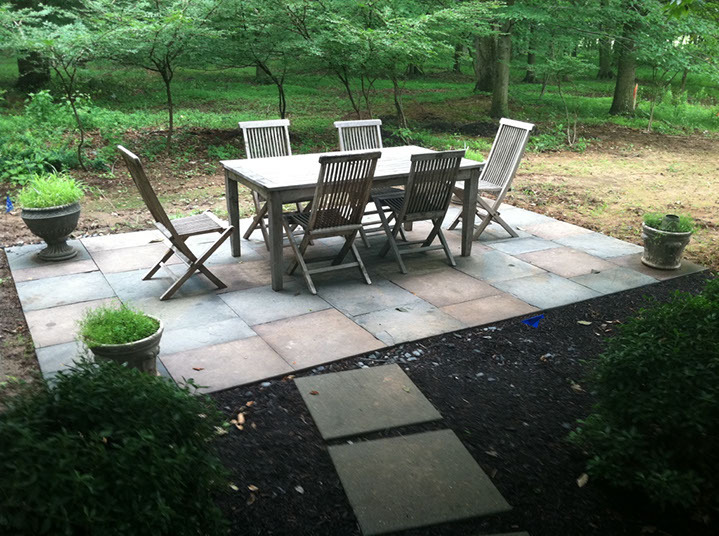 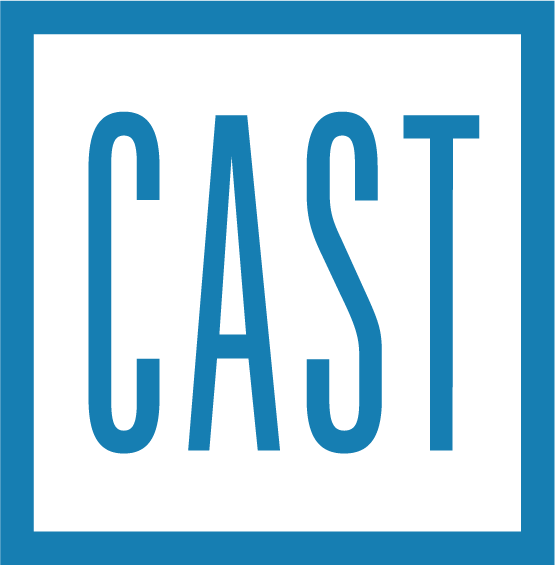 The patio surrounding patio is made of irregular bluestone. 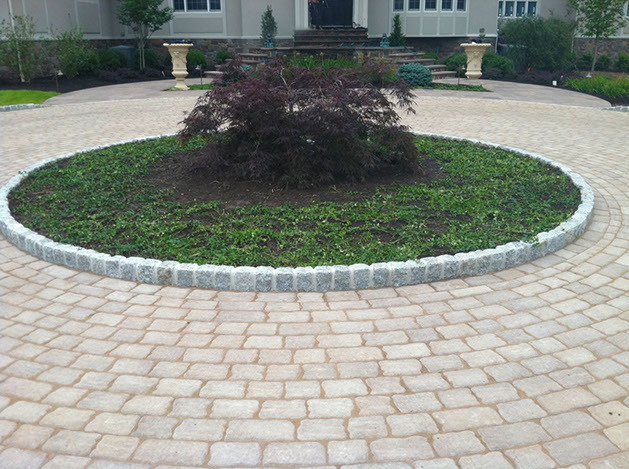 This driveway was made with Techo-Bloc Villagio Grande pavers. 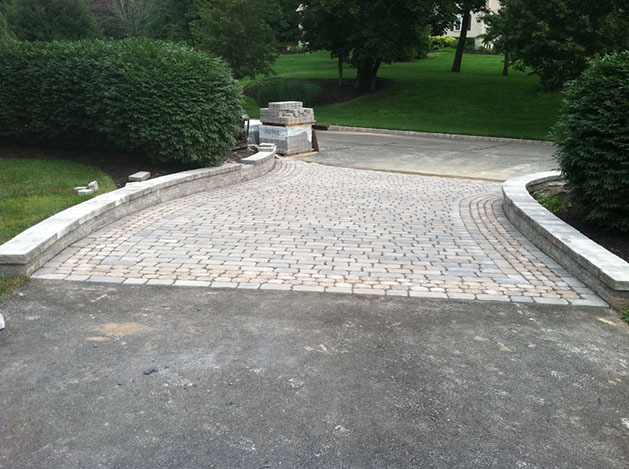 Belgium block curbing was added as well. 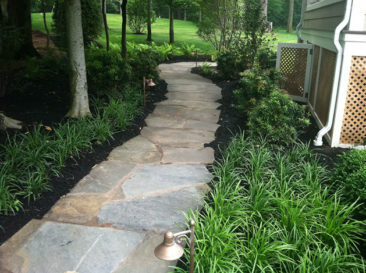 Here is an irregular bluestone walkway. 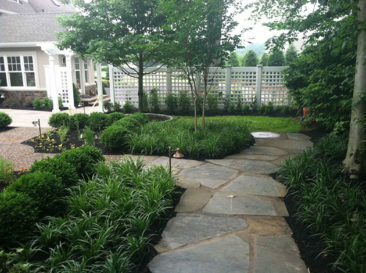 There are lots of plantings and path lighting. 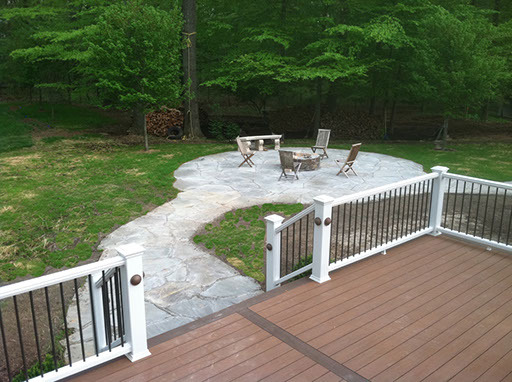 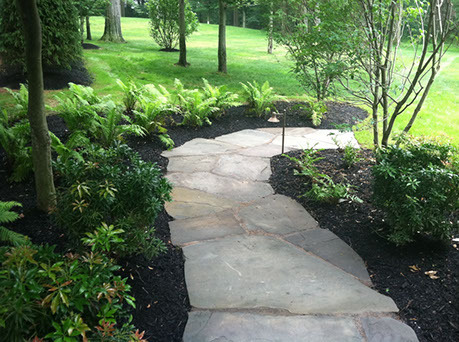 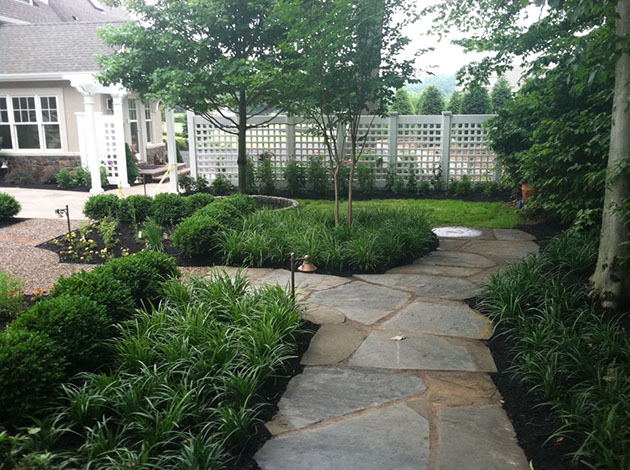 This is a natural brownstone walkway that leads from the rear deck to the front of the house. Here is a small patio built in the middle of the woods. These front porch steps are made from brownstone treads. 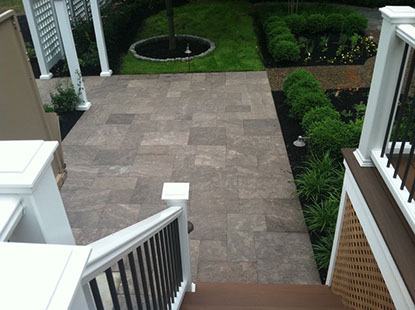 The porch is covered with Pinnacle natural stone veneers. 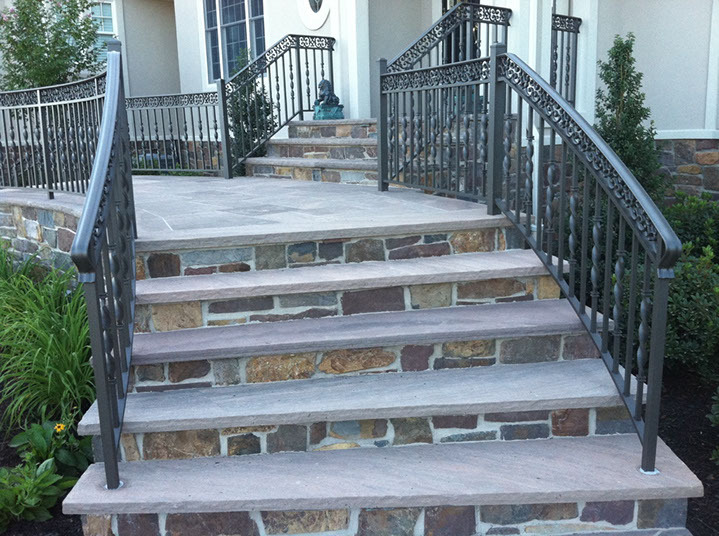 To finish off this grand entrance is wrought iron railings.